Parenting Mistakes cannot be avoided all together, however, I do believe we can cut down on them when we are aware of the potential traps. I made a lot of parenting mistakes throughout 31 years of parenting. I couldn’t begin to share all of them with you! But I can pinpoint the biggest ones because they hurt my kids and as a result, my relationship with them. If sharing my parenting mistakes with you steers you clear of making even ONE of these errors, then I’ll be grateful. Mistake #1 I reacted instead of responding. Counting to 10 will save you much regret! It also give you time to ask yourself one quick question: what does my child really need from me in this moment? Mistake #2 I didn’t listen well enough. This usually happened because I was already forming an opinion or an answer in my brain. I missed a lot of very valuable cues from my kids because I was not actively listening. Listening is hard work, but always yields great rewards. Mistake #3 I let my kids push my buttons until I exploded. Kids love to whine and nag and after a while, that really gets on parental nerves. As we strive to remain calm, we may really be stuffing it all down and letting it build up until it finally all has to come out. I would have done better to work on not letting them push my buttons in the first place. Mistake #4 I didn’t filter my words when I should have. I’ve learned the hard way that sometimes it’s better to think about how your words will be received before you say them. It’s unrealistic to think we can filter every word, but when the subject is sensitive, take the time to think about what you are going to say. It will save you a lot of regret and conflict. Mistake #5 I tried to fix my kids with words. Because I am a woman of words, I tend to think that I can use them to fix my kids. While it’s true that sometimes my words did hit the spot and offer needed encouragement and advice, there were many times when my words fell on deaf ears and yet I’d keep on talking, determined that my wisdom and insight would do the trick and my children would be all hunkey dorey. Mistake #6 I tried to control things I should have let go. Using words to try to fix our kids is one way of keeping control. Other ways include: inserting yourself into their problem, bailing them out of situations they created, and acting on their behalf when they should be fighting their own battles. Mistake #7 I spent too much time worrying. I know this is parental instinct, but I also know that it was a waste of time and energy. I let worry rob me of joy and sleep, and in the process the anxiety affected my body too. Do any of these mistakes resonate with you? 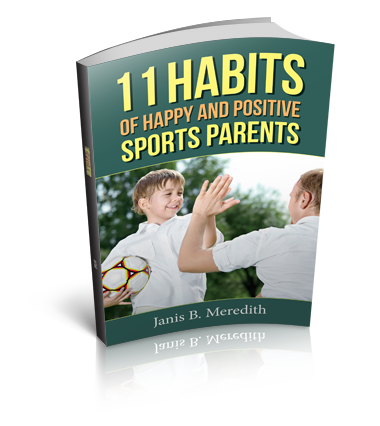 If you are struggling with them and would like some parent coaching to help move you past them, let’s talk. Schedule a free call here. Parenting mistakes are inevitable. If you are not making them, we need to talk and I need to learn your secret! The saying “mistakes are for learning” applies to parents too. Recognize your mistakes and learn how to do things better next time. Parenting is a journey, not a destination.